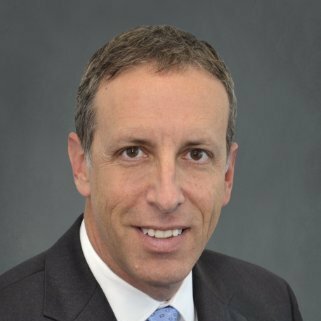 Robert F. Lurie is the New York Power Authority’s executive vice president, chief financial officer and chief strategy officer. Bob joined the Power Authority in 2012 as head of the newly formed strategic planning department, where he led the management team in creating NYPA’s strategic plan. He also was responsible for managing project development, project finance, R&D and evaluating new business opportunities and technologies. He has over 30 years of experience in finance and strategy in the utility industry, government and investment banking. Prior to joining NYPA, Lurie was vice president of North America business development for Ocean Power Technologies in New Jersey. Prior to that role, he directed the mergers and acquisitions function for Air Products and Chemicals, Inc. in Pennsylvania. Lurie served as the Chief of Strategic Planning at the Port Authority of New York and New Jersey from 2003-2007, leading the development of a 10-year, $20 billion strategic capital plan. He has tensive experience in utility finance and strategy, having served as treasurer and vice president of corporatedevelopment and planning for a natural gas distribution company in New Jersey. Lurie began his career in public finance. He served as the director of public finance for the State of New Jersey, managing over $8 billion in infrastructure funding and overseeing the financial activities of 15 state authorities. Lurie’s career started at Lehman Brothers, where he was vice president of investment banking in the public finance department. SolarKal, the leading solar energy brokerage for businesses, is disrupting the $1bn customer acquisition problem in the commercial solar market. Our in-house trained solar brokers represent businesses that need education, advice and customized solutions when switching to solar. SolarKal pre-qualifies businesses before they switch to solar and matches them with vetted solar energy providers, significantly reducing customer acquisition costs, sales cycles and ultimately accelerating the adoption of solar for small and medium businesses.Sustainable Green Energy LLC (SGE) is a clean energy solutions company focused on delivering distributed wind power and related storage technologies globally.Our proprietary technology changes the paradigm for wind energy generation from small to utility scale applications with improved performance and lower cost attributes. SGE delivers a cost of energy that competes with the grid and solar, and are available at an installed cost of approximately 50% of the cost of similarly rated wind turbine units on the market today. SGE turbines provide cost effective energy for on-grid home, school, farm, business and industrial applications as well as off-grid applications such as telecommunication towers and remote villages. SGE’s fuel cell patents promise energy storage scalable to fit a wide range of needs from 10kW to utility size, and will be suitable for energy storage at or near demand centers and grid spike stabilization, among other applications. SGE solutions promise to make distributed wind energy production “a breeze” worldwide. Efficienado is an energy solutions company. Our singular focus is to provide best in class “COMPLETE” energy saving solutions while saving money. Most of our 3200 clients had payback of less than 2 years on LED Lighting / HVAC. We are among the EXCLUSIVE companies approved by ConEdison / PSEG to provide 40% – 70% discounts on all energy upgrades in NYC and Long Island. We have been around for over 6 years, saved in excess of 15MW of energy and have network of sales agents building a commercial energy users client base. Energy efficiency is a $100 billion dollar opportunity in NYC, only 5% of NYC buildings have become energy efficient. We have the history, experience and approvals to be a leader in this space.